A. I’m currently 39 years old and I’m a freelance graphic designer and online media creator, working from home. Aside from my vocation, I’m involved in the local Gurdwara Sahib committee, resulting in the weekends being busier than weekdays. I enjoy keertan, exploring messages of Gurbani, and spending time with Akal Purakh Ki Fauj. Q. Your Child/Childrens ages, who they are and what are they like? A. Prabhu Singh is 7 years old (in 3 weeks), and Kirpa Kaur is 1.5 years old. Prabhu is a pleasurably inquisitive child. He loves everything that grows or moves… namely; nature, animals and dinosaurs. I’m sure if he were to read this, he’d be quick to remind me of something I’m forgetting. He also enjoys expressing what he loves through art. Kirpa is a headstrong, no-nonsense little cutie that loves everything her elder bro does. She loves doing Simran. Q. 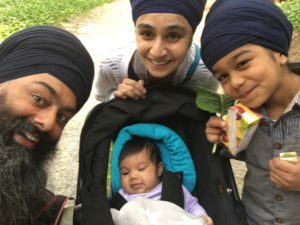 You have recently uploaded a video of your son called “Nature Singh” What were your thoughts behind that and how did it all come about? A. Just like all parents, I’m sure, we’ve been making home vids of these kids since day one. 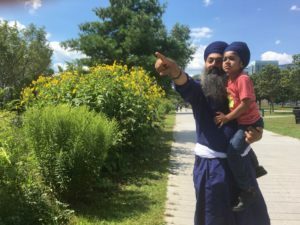 When Prabhu starts to passionately express himself verbally on some of these, we couldn’t help feeling that other Sikh kids could benefit or be inspired by hearing about nature from a kid too. So whilst we’ve only uploaded one video, we’re thinking of sticking up more depending on the types of feedback we get. So, let us know your thoughts. Q. 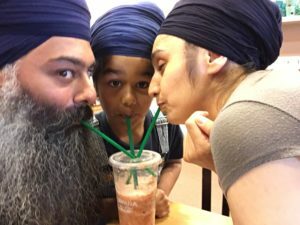 There is a growing belief that you have to be tough with your kids in order to make them adaptable to the world, in accordance with Sikhi, what are your thoughts on this? A. If we think using an iron fist is productive in the adult world, then doing the same kids is a given I guess. But if we feel that inspiring, empowering, mutual respect and a positive environment is more conducive within a work environment, for example, then, it can be argued the same is true for kids (or more precisely, ‘young people’). This approach is becoming more commonly widespread and is certainly a recognised ingredient from the younger years of many of the world’s successful people today. A. Bhai Vir Singh. His novels (Bijai Singh, Satwant Kaur, Sundri), gave me a practical perspective on living the ideals of truth, love, fearlessness in everyday life. Up until then, the principles of Sikhi felt like a theory to me. The novels (read in my late teens) transformed my closeness to Sikhi and stopped me from walking away from it at that typical pivotal time of recently gained adulthood. A. Jo Brahmande, Soee Pinde – Whatever is out there in the universe, is actually within. Pondering on the infinitely vast of the universe of the infinitely immense Vaheguru – and then perceiving that to be discoverable inside me, has gotten me through some really thick moments in life. This broader perspective makes seemingly large problems of life, fizzle away into near nothingness. The elderly Gursikh Bhai Jarnail Singh (UK) shared this gem of wisdom from Gurbani – but ultimately, it was Vaheguru ji that created that revelatory vichar (discussion). A. To be honest, hard-working, focused and determined. A. She is a very warm and love filled person who draws out the good in those she engages with when she is in full flow. She has taught me to be more communicative and less introverted. She’s done this without actually teaching me… just by being her bubbly self. A. Pour out your love into this being that has been blessed into your responsibility. Recognise that it’s an opportunity to help shape and raise a wonderful being, with love, nurture and guidance of Gurbani, into a much more improved version of yourself. And this begins from day one of a child’s birth. The warmth, love and attention a baby receives helps it feel safe, protected and loved, and allow it to flower into a wonderful human being which will one day be released into society as an inspiration. A. To let go, love, appreciate and absorb. I have appreciated Guru (God) in a new light thanks to Prabhu. His innocence, alert observation of nature around us, and his intuitive character has taught me to reassess myself on many levels. I have discovered aspects of nature that open my eyes in new ways on the greatness of the ways of mother nature – aka God. A. Kids pick up on the hypocrisies of an adult very quickly. A self-reflection on our walk versus our talk is a starting point. Secondly, a vibrant and engaging expression of Sikhi through stories, talks of morals, examples of influential figures from Sikh history and general pride of Sikhi should always trigger a healthy engagement and interest. But most importantly, live Sikhi in your actions every day. A. A talk from Harpreet Singh Toronto on the benefits of the Montessori teaching method. This creative teaching approach has opened my eyes to the potential of a young person, who is allowed to grow in a free and non-inhibiting (albeit safely controlled) environment. A. Prabhu Singh. We have riveting conversations on almost anything. A. Oh gosh, yes! So Prabhu’s mum has an agreement with Prabhu (then 3 years old, I think) to be treated with 3 Tic Tacs, if he uses the toilet for a “number 2”, instead of asking for a nappy – he used to demand a nappy so that he could ‘go’ while mobile. So he comes up to me after a successful tictac received, and says, “Daddy, can I have one extra tictac today? And then tomorrow, I will have only two.” I was so impressed that this little guy had calculated maths on his own that I readily agreed. Upon receiving his extra tictac, he says, “I’m always gonna have 4 tictacs from tomorrow too”. And he carries on watching TV! My eyes popped wide and I was dumbfounded for a few seconds before I stepped out of the room to share with Raj that I’ve well and truly been done over by a 3-year-old. I couldn’t help laughing in shock. A. Seeing him grow to be such an inquisitive, bubbly and expressive child with a cute enough face to induce cannibalistic tendencies. A. 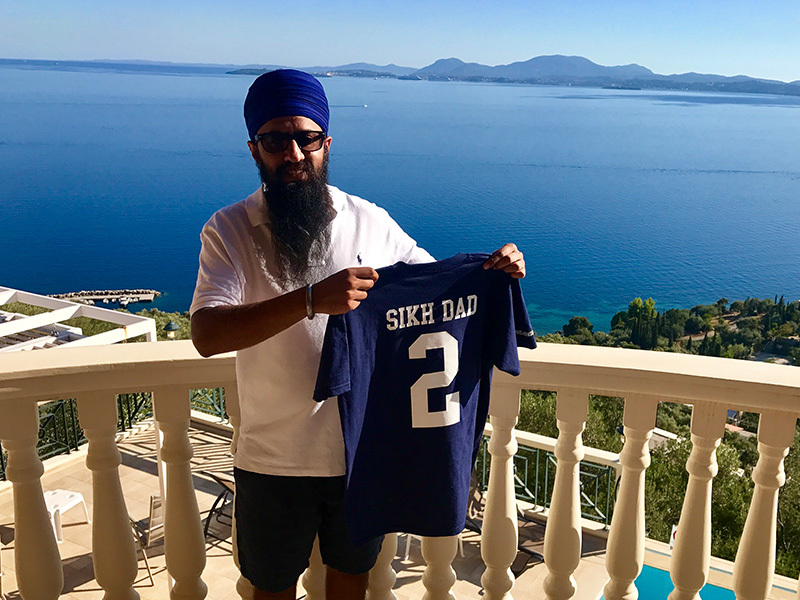 Living up to the ideals we’ve shared with Prabhu from Sikhi. He’s sharper than a police detective in pointing out our fallacies. But we openly discuss our weaknesses too so hopefully tool him up to honest and self-reflective. But it isn’t half embarrassing! A. Enjoy it while it lasts as they were only born yesterday and they’ll be married tomorrow. I have known of Bhagat Singh for a while now but only recently sat down with him at a mutual friends house. 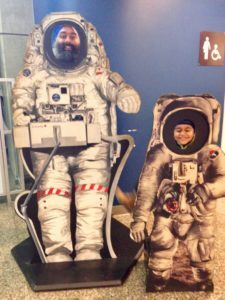 Apart from both being active fathers, we had many other things in common which brought about this interview. He is very well spoken and knowledgeable on various topics but very down to earth. I found him to be very open and that is evident in his relationship with his children. It’s refreshing to see and hear him talk about how he openly converses with his kids and the riveting conversations that they have. For me, he is someone that I greatly respect and we have already spoken about working on various collaborations in the future. For now, I thank Bhagat Singh for taking his time out to contribute to Sikh Dad.